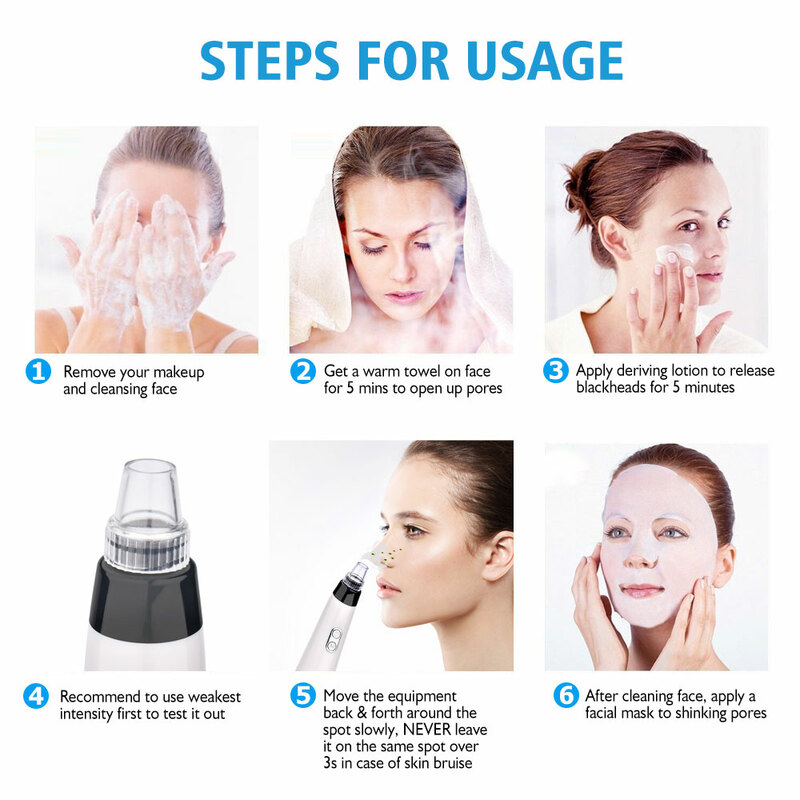 5 Adjustable Suction Force with One-click Design: Pore Vacuum Physical Suction Design from Level1 to Level 5 suction force to meet different facial needs. One-Click design to change the force and long press to shut down the device. 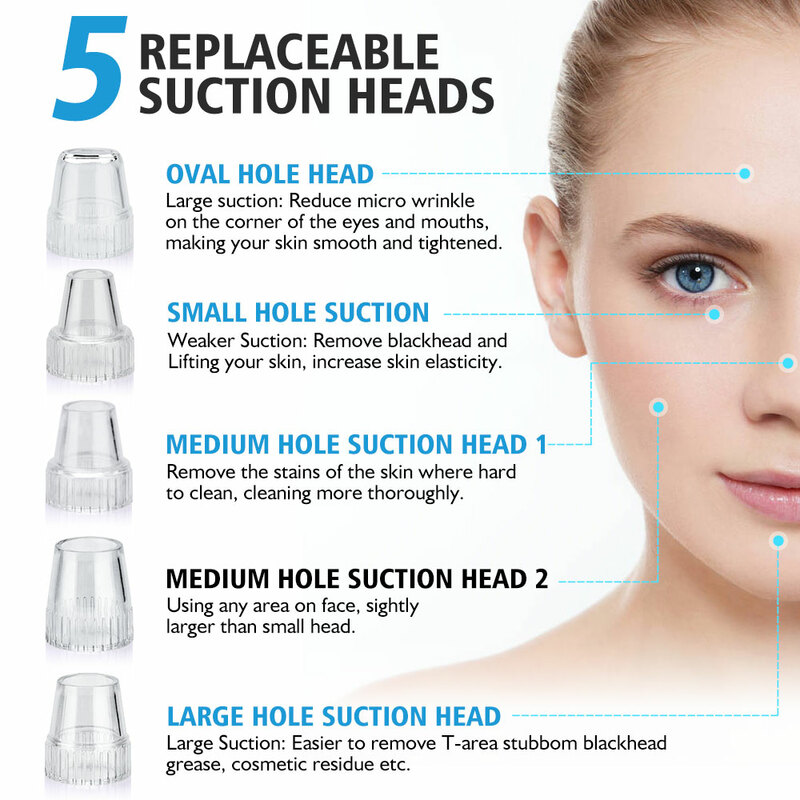 5 Replaceable Suction Heads for Different Skin Needs: provide 5 professional suction heads for different skin conditions. Choice different heads size to fit different face areas. To be your professional home SPA skin care tools. 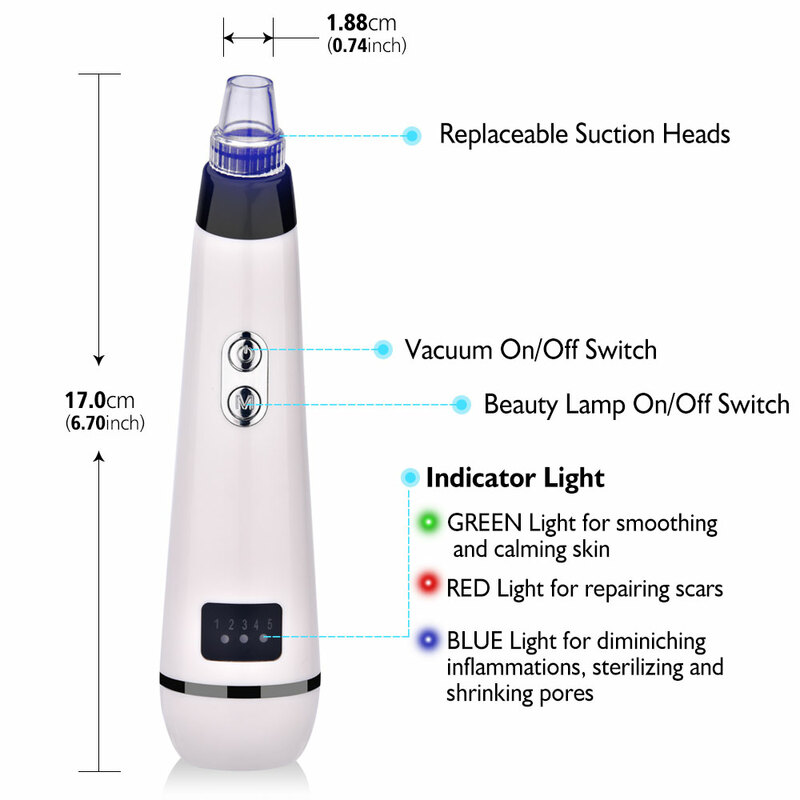 Exclusive Beauty Lamp Functions: it's the upgrade blackhead remover, add BEAUTY LAMP function. 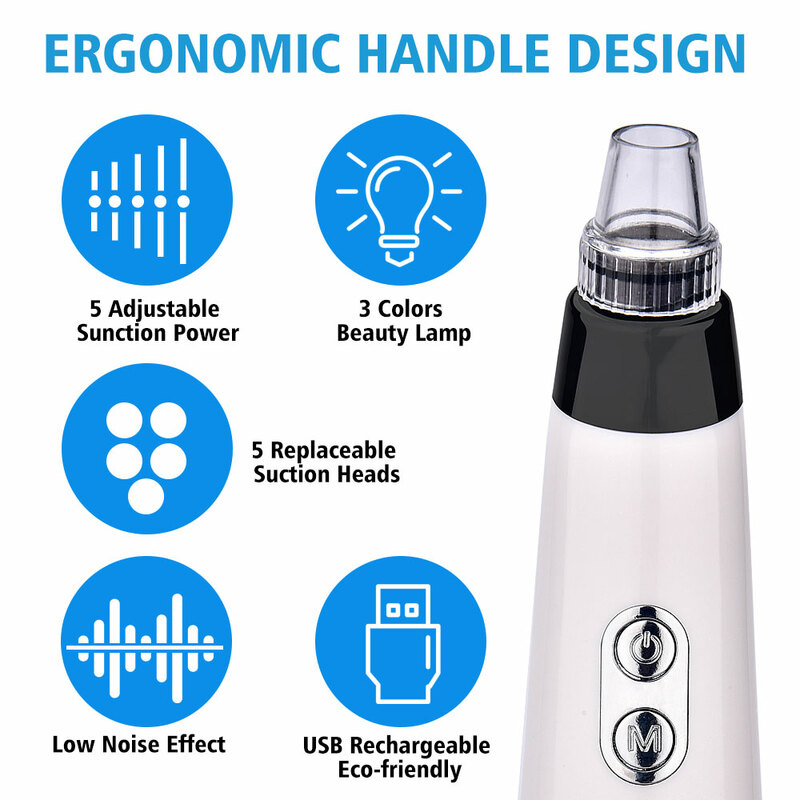 The beauty lamp pattern can be opened simultaneously with facial care. 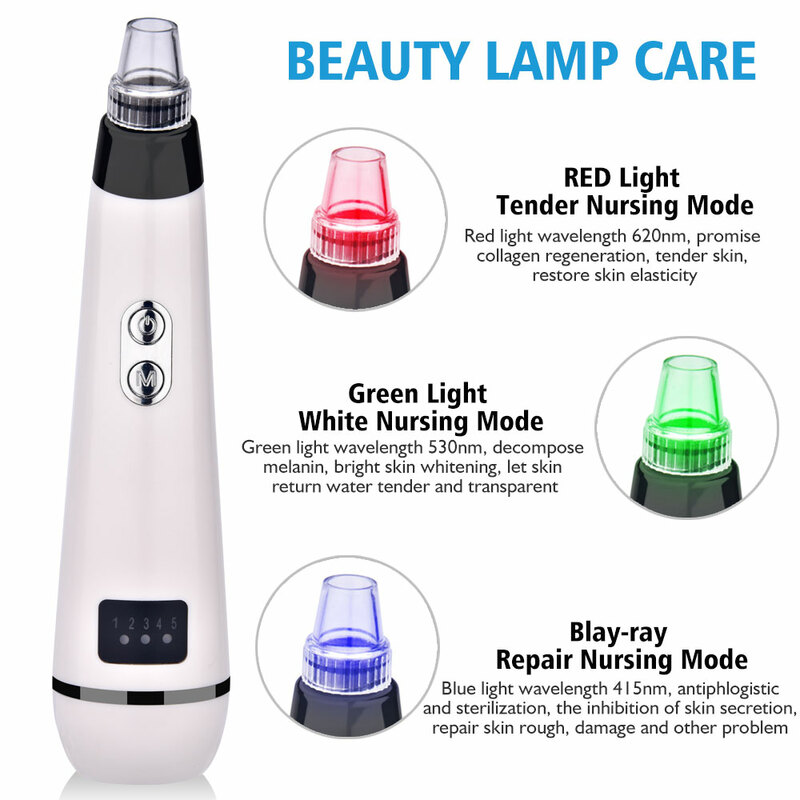 RED LAMP-promote collagen regeneration, tender skin, restore skin elasticity; GREEN LAMP-decompose melanin, bright skin whitening, let skin return water tender and transparent; BLUE LAMP-antiphlogistic and sterilization, the inhibition of skin secretion, repair skin problem of rough and damage. Blackhead Problems Solved: Coarse pore, rough skin, dark skin, exfoliates dead skin, blackhead and pores of skin, dirt nose, Firm and Improves skin elasticity. Easily cleans up the blackhead, Removes dirt grease inside pores, reduces dead skin and fine lines, massage and tighten the skin. 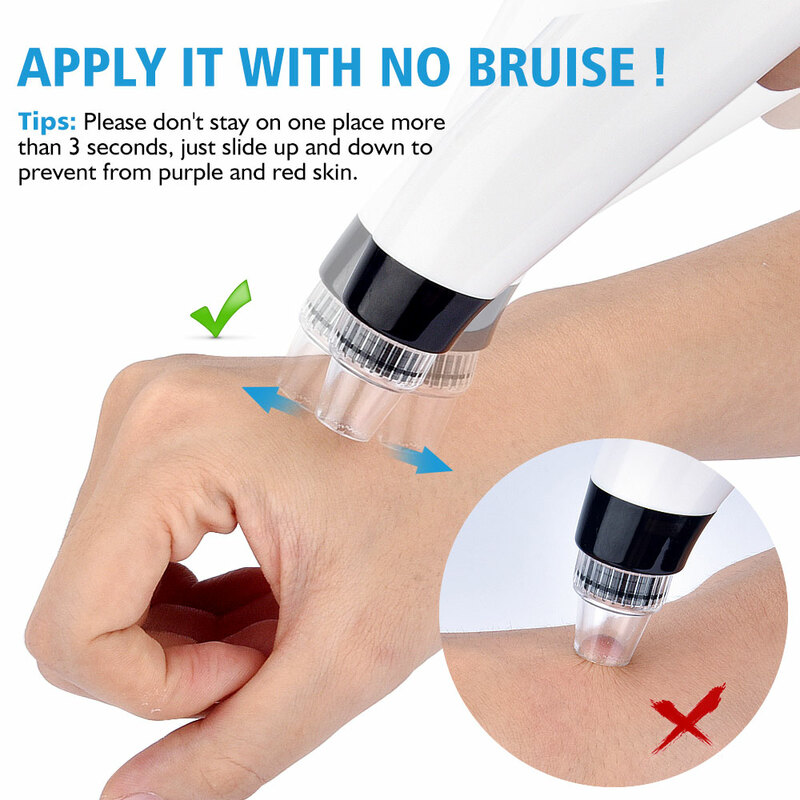 âœ?Please don't suction on the same area all the time, it will make the skin swell. If the skin swells, stop using immediately. âœ?Before using the product, use hot steamer or hot towel or blackhead remover gel/cream on your skin for 5 minutes to completely open your pores first to ensure the best performance of the product. 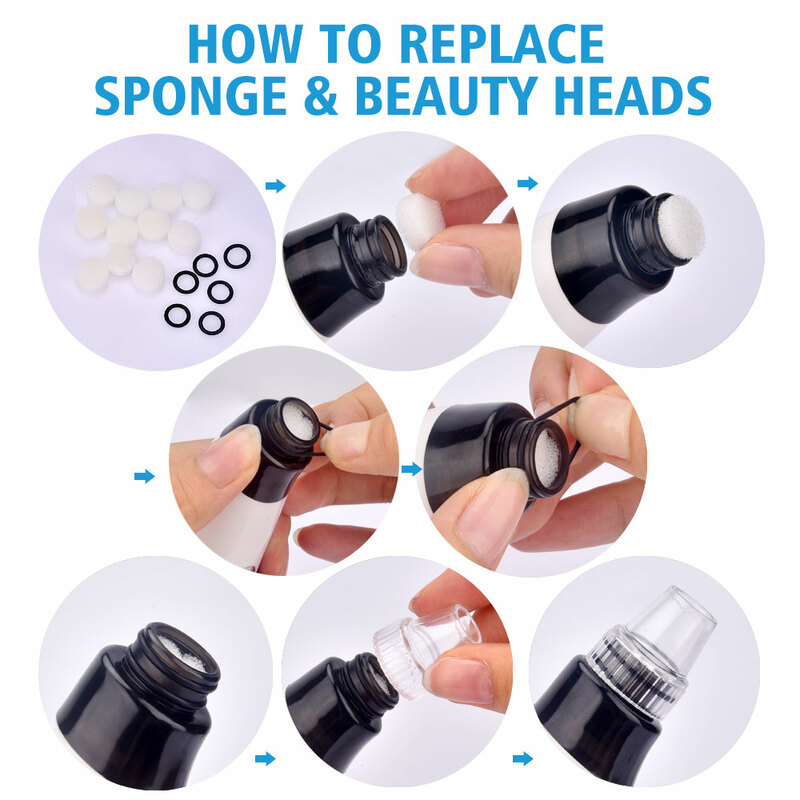 STEP 1: Clean your face, use the blackhead Export liquid or facial steamer to open the pore. STEP 2: According to your requirements, choose among the Five Level Suction. Start with the lowest. STEP 3: Move the blackhead cleanser back and forth around the pore with a constant speed, slowly move, do not stay in one place for too long to avoid injury, and do not press it hardly or pull vertically. STEP 4: After washing your face, please use ice towel or cold water or shrinking liquid to restore the treated pore.